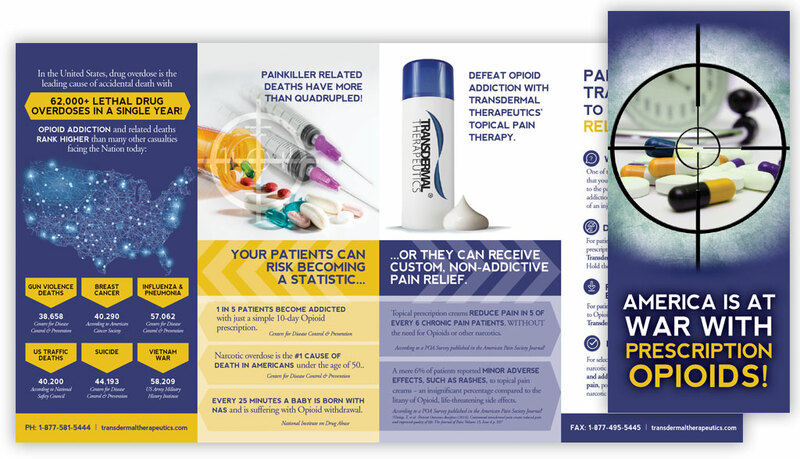 Transdermal Therapeutics is a pharmacy that compounds state-of-the-art topical pain relief creams by combining individual medications through a proprietary micelle formation process. 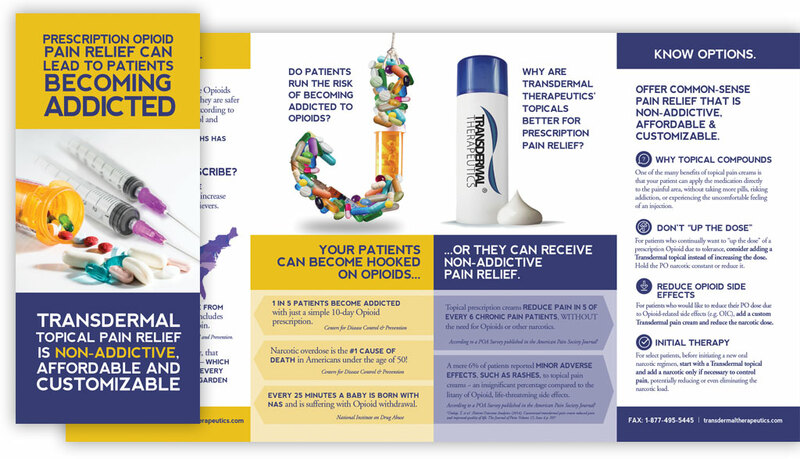 One of the many benefits of a topical pain cream is that you, the patient, can apply the medication directly to the painful area, without having to take more pills, risk addiction, or experience the uncomfortable feeling of an injection. 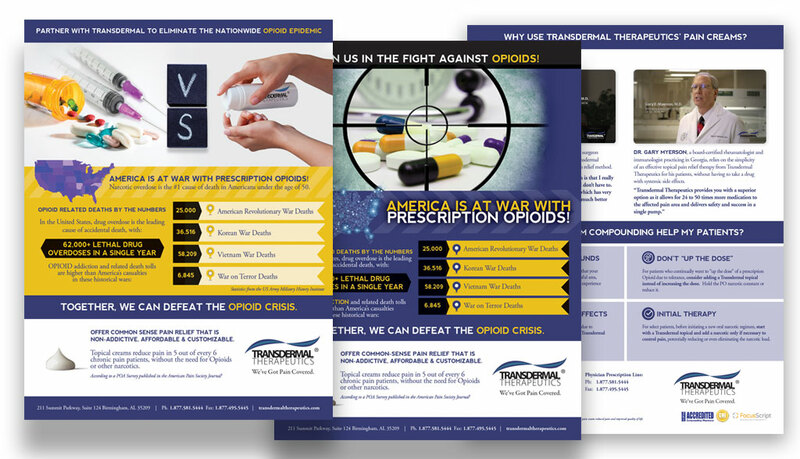 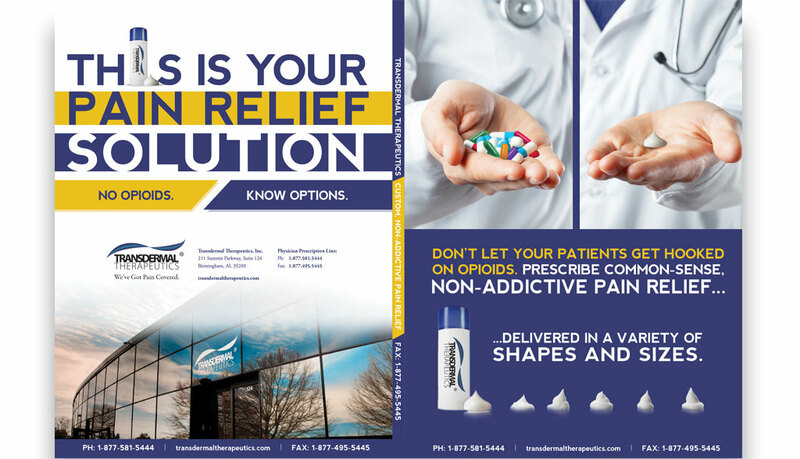 Empire has worked with Transdermal in the past few years in designing marketing and ad campaign materials including direct mail dealing with the subject of safe and effective topical creams instead of using dangerous and addictive opioids as a way to treat pain better. 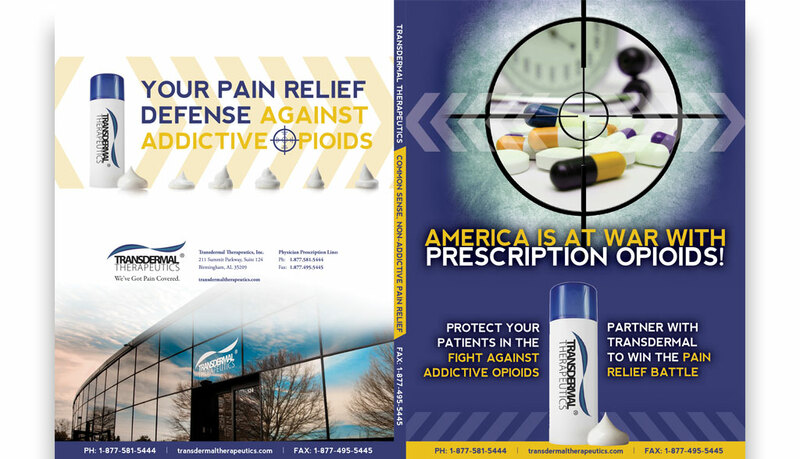 Empire has designed put together various folders, sales sheets, brochures and other marketing and design projects for use by outside sales representatives.